Juneau administrative offices are located at 155 South Seward Street, Juneau, AK 99801; phone: 907-586-5240. 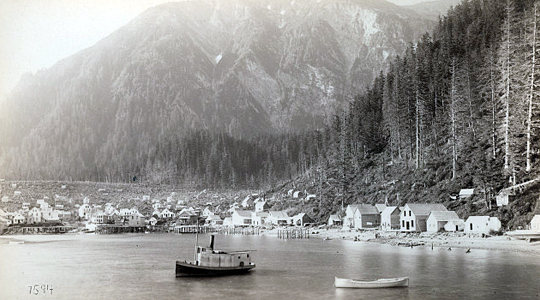 Photo: Juneau City ca. 1887. Partridge's Alaska photographs, W. H. Partridge, publisher; Southern Methodist University, Central University Libraries, DeGoyler Library, digitalcollections.smu.edu, accessed September, 2012. Alysia McLain, City and Borough of Juneau, Juneau Memorial Library, Juneau Alaska, nomination document, 2006, National Park Service, National Register of Historic Places, Washington, D.C.